Good fortune is giving it to others. Good fortune accrues to the souls of the elite. Now good fortune is not always possible, but you can find a considerable fortune in nature. With flowers it is the beauty that endlessly rejuvenates itself. With dogs it is the boundless faithfulness, even in misfortune – unfailing recognition. The bee is a mistress and a delightful teacher. She provides an example of a wise and reasoned lifestyle, which gives solace from life's annoyances. The bee contents herself with the nourishment provided in the surroundings of the hive, without adding anything to it and without taking anything away from it. No ready-made meals; no imported early fruit or vegetables. The bee, however well provided she is, does not consume more than is absolutely necessary. No gluttony. The bee makes use of her terrible sting and dies in doing so in order to defend her family and her provisions. Otherwise, even when she is foraging, she gives way peacefully to people and to animals. without recrimination, without a fight. She is a pacifist, but not weak. 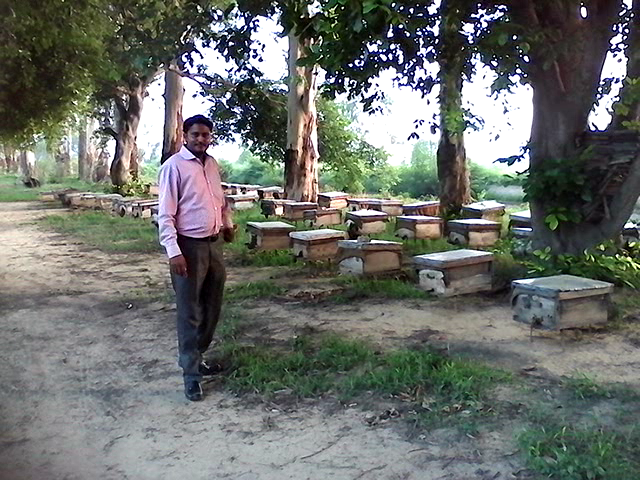 Each bee has its task according to its age and abilities. It fulfils its task without desire, rebellion or anger. For the bee there is no humiliating work. The queen lays tirelessly, thus assuring the perpetuation of the stock. The workers lovingly share their activity between the tender larvae, the hopes of the colony's future, and the fragrant fields where the honey is harvested from dawn to dusk. No place in a buzzing colony for the useless. No parliaments; for this quiet populace has neither a taste for new laws nor the leisure for futile discussion. We call the laying bee the queen. This is incorrect. There is neither king nor queen nor dictator in the hive. Nobody is in charge, yet all work in the common interest. No egoism. The bee observes the law that is as healthy as it is imperative, a law often overlooked by humans: 'you earn your bread by the sweat of your brow'. And I observe that the sweat of the bee, just in 4 cleansing her body, is useful to her in another way. Her sweat, in changing into scales of wax, provides the bee with the materials that she uses to make her wonderful cells, a clean storehouse for her provisions, a soft cradle for her young. It is so true that the observance of natural laws is always rewarded. 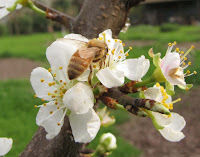 Bees work day and night without respite. They only take a rest when there is no work to do. Noteven a rest at the weekends. In the home of the bees there are neither pensioners nor retirees. Said the bee to me, in passing. Waltzing over there on the lake? Said the bee to me, leaving. The bee said to me as she died.